Personally, I've always liked a banana smoothie that's pure bananas, especially when it has lots of vanilla in it. 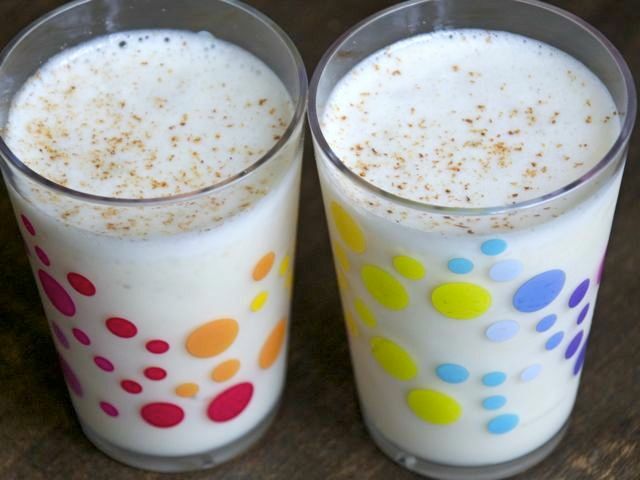 This comes from enjoying a few liquiados one winter in Mexico, which tasted of bananas, vanilla, and thick Mexican cream. It was like sipping melted ice cream through a straw. In the blender, purée the tofu with the banana until smooth, then gradually add the milk and flavorings. Add the ice and purée again until smooth. Pour into glasses and scrape a little nutmeg over the top. Variations: Add ¼ cup peanut or almond butter; 2 tablespoons or more chocolate syrup; both peanut butter and chocolate syrup; or ½ cup coconut milk plus a squeeze of fresh lime.